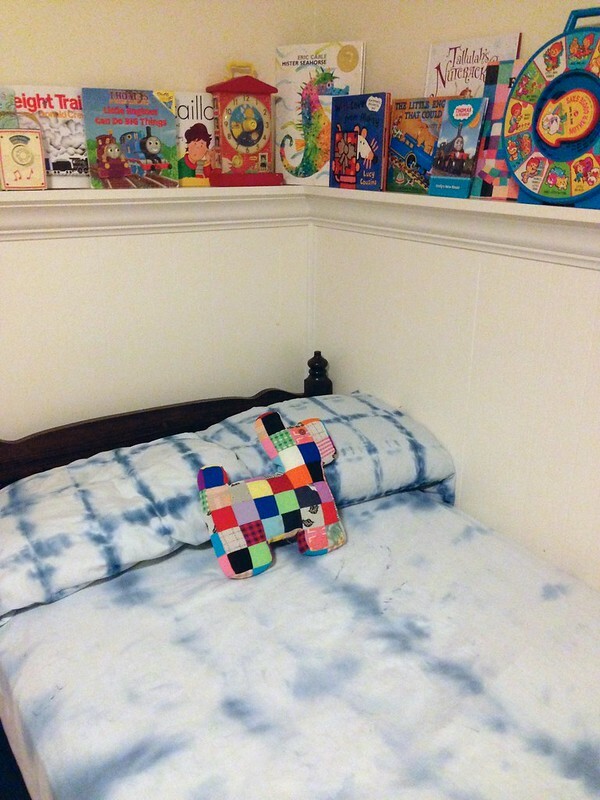 You may not know what it is called, but you have seen shibori. 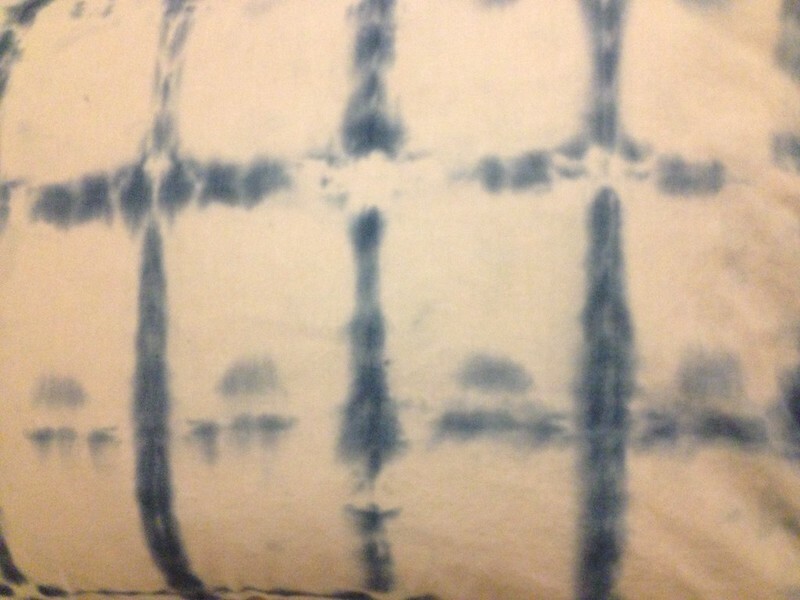 In home decor and in fashion shibori is the hot dying trend. This is actually an old Japanese dying technique which involves using a resist. A resist can be a pole, marbles, pieces of wood or in my case plastic tupperware. 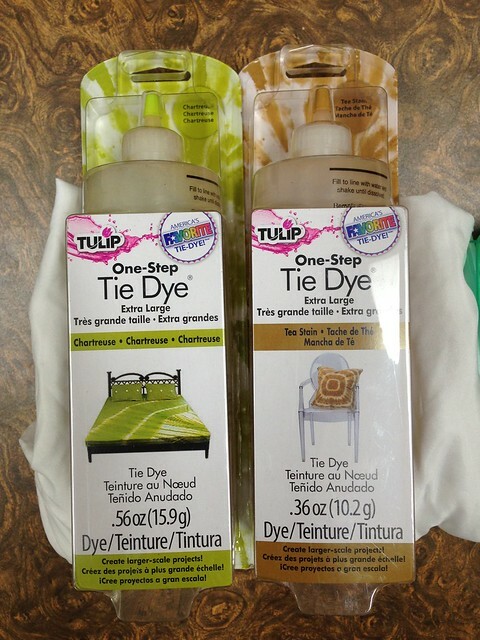 Grab some cotton sheets, a resist, rubber bands galore and a bottle of Tulip One-Step Dye in extra large - perfect for sheets! I chose to go with Itajime shibori which is a shape-resist dye technique. It is all about the fold. I folded my sheet into an accordion fold. Each fold was about 2 inches wide. Once I had one long 2" wide rectangle I did another accordion fold until my sheet was in a square shape. 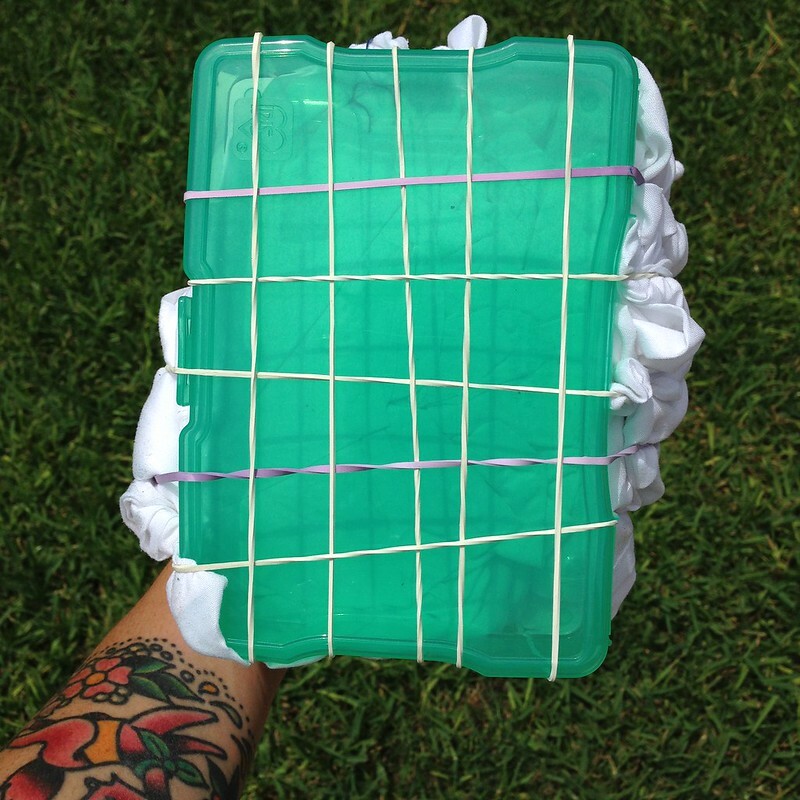 Next you want to put something flat on either side of your sheet square and bind with rubber bands. Try to make your rubber bands have somewhat of a pattern. 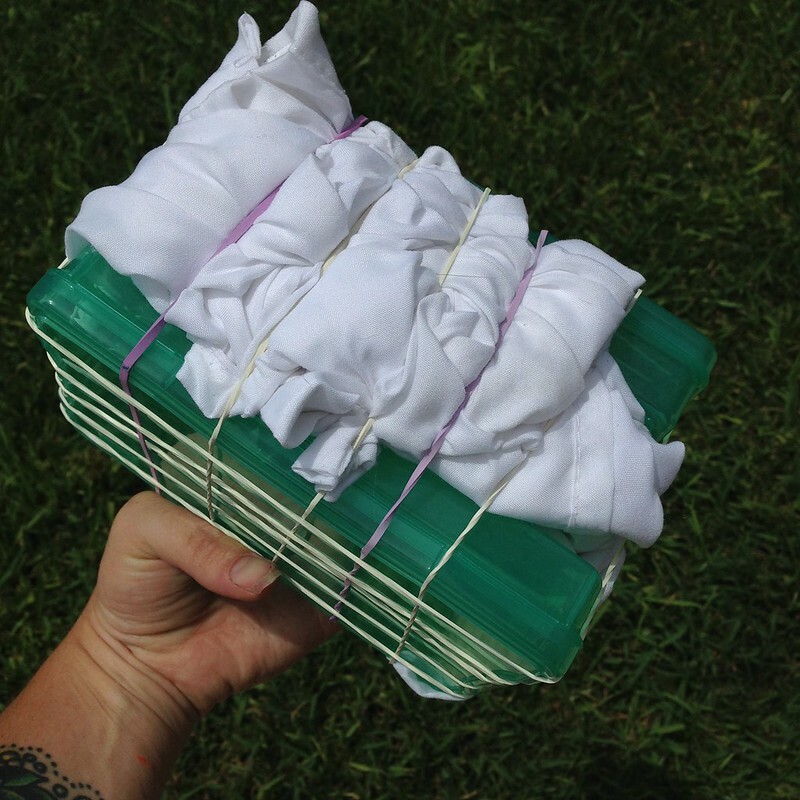 Wet your sheet and squeeze out excess water. Add your dye. 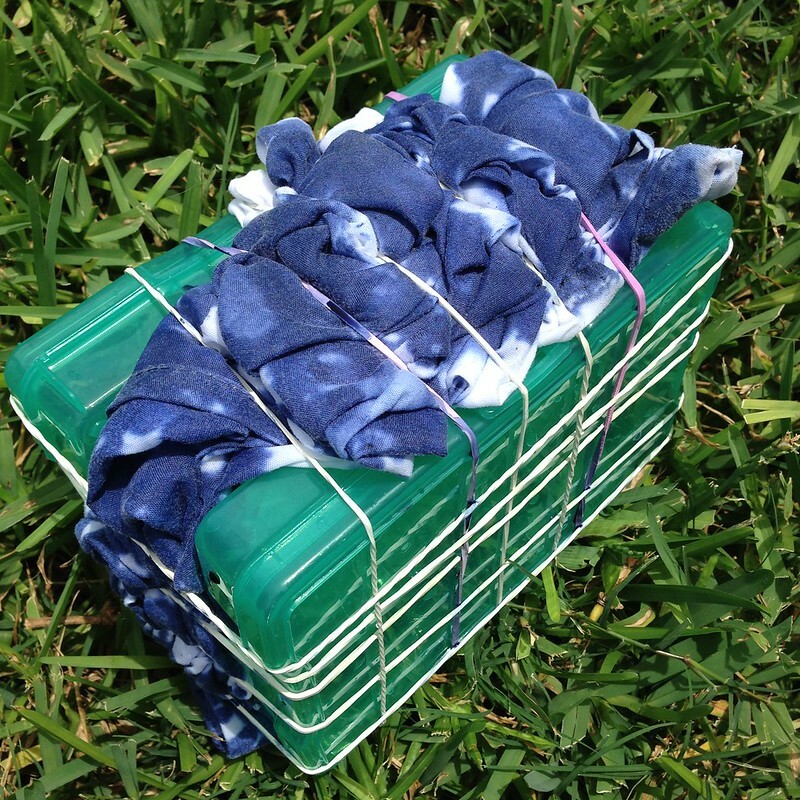 Traditional shibori is an indigo blue color. Don't oversaturate. Apply the dye between the rubber bands all around the edges. 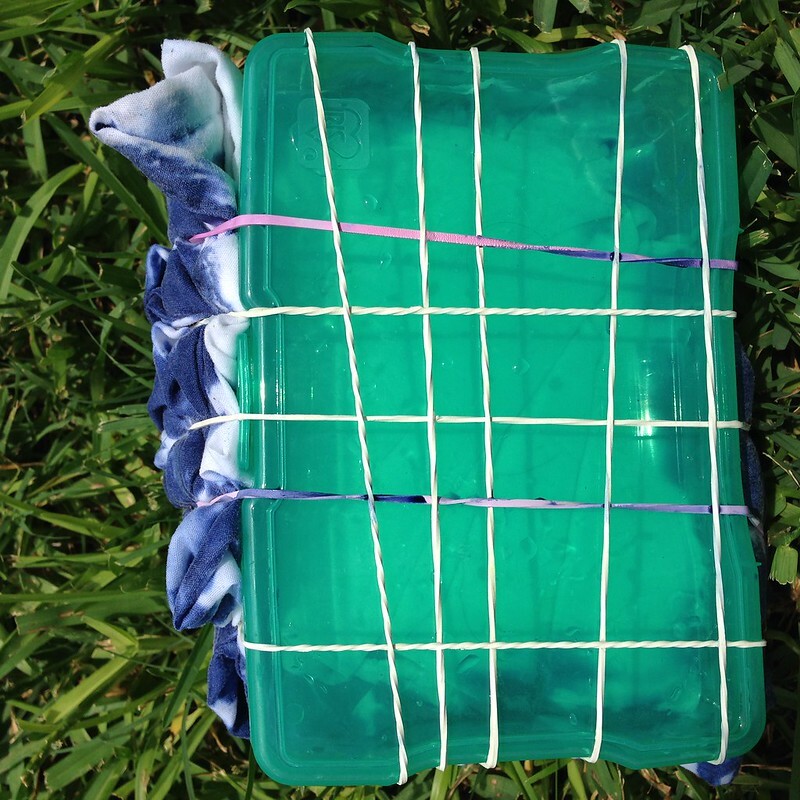 Allow your dye to sit for about 6 hours. 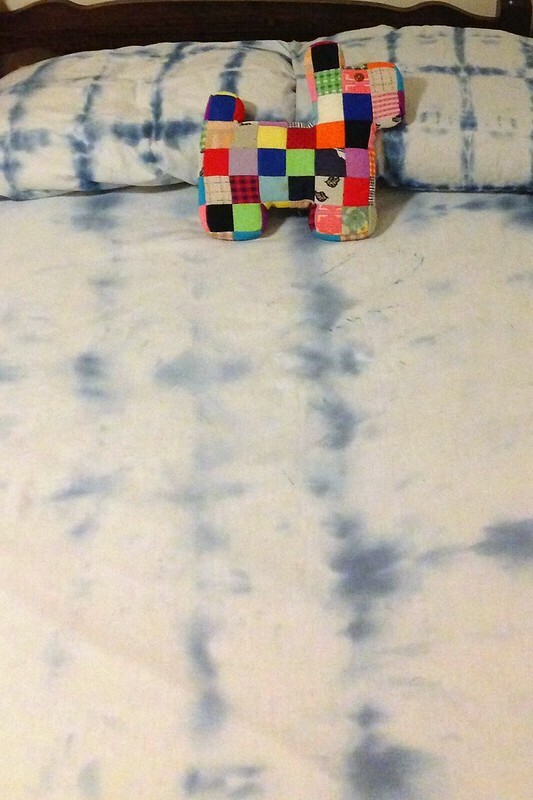 I love what you have done with this doona cover, this style of tie dying is both gorgeous and classy.